The legal landscape for the cannabis industry continues to shift in significant ways. Recent changes in federal law now make some types of cannabis exempt from the restrictions of the federal Controlled Substances Act. There are other efforts to attempt to allow Oregon-grown cannabis to be sold across state lines. While these regulatory developments are occurring, court decisions continue to impact the tax treatment of businesses in this industry. With the passage of the Agriculture Improvement Act of 2018 (known more commonly as the farm bill) in December, the growing and processing of some forms of cannabis known in the bill as "industrial hemp" are exempt from the Controlled Substances Act. For purposes of the farm bill, industrial hemp is cannabis with less than 0.3 percent THC content. This is a substantial expansion on the provisions in the 2014 farm bill that allowed states to create pilot hemp programs. The 2018 farm bill also allows for interstate sales of hemp products. However, the new law also increases federal oversight of state industrial hemp programs requiring the USDA to approve the state's plan to license and regulate hemp production. This means Oregon's hemp laws and regulations, which already saw substantial changes in the past year, may see additional changes based on input from the USDA. It is important to understand that the uses for industrial hemp go beyond the types the name might imply. The largest use of industrial hemp in Oregon is for production cannabidiol (CBD) products. CBD is a non-psychoactive cannabinoid that is believed to have a number of therapeutic qualities. CBD products that are produced in accordance with the farm bill, under applicable state and federal regulations by a licensed grower will also be exempt from the Controlled Substances Act. This provides clarity about one of the gray areas in the 2014 farm bill, though we do not yet know exactly how CBD will be addressed in USDA-approved regulations. Something else to watch is how the Food and Drug Administration treats CBD products. The FDA recently granted approval to a CBD isolate, Epidiolex, as a drug. This raises the question as to whether other CBD products may be regulated as drugs or, less stringently, as supplements. The 2018 farm bill leaves the decision to the FDA. It is also important to note that the Federal Food, Drug and Cosmetic Act classifies any product for human consumption with the same active- ingredient as an FDA-approved pharmaceutical "adulterated and misbranded," causing some concern that ordinary CBD isolate produced by Oregon-licensed hemp handlers might run afoul of FDA regulations after the approval of Epidiolex. To this point, the FDA seems most concerned with medical claims made by those marketing CBD isolate other than Epidiolex, but this is another area that is worth keeping an eye on moving forward. An ongoing challenge for cannabis businesses is Section 280E of the Internal Revenue Code. Section 280E prohibits a deduction for amounts paid in carrying on a trade or business that consists of trafficking in controlled substances listed on Schedule I of the Controlled Substances Act. Cannabis businesses do get to offset their taxable revenues by their cost of goods sold, but the impact of Section 280E can be particularly harsh on portions of the cannabis industry that are not involved in production and thus do not have substantial expenses related to their costs of goods sold. As a general matter, a taxpayer who sells cannabis but is also engaged in another trade or business is not subject to Section 280E with respect to his or her other business. This led to the case of Californians Helping to Alleviate Med. Problems Inc. v. Commissioner (known as "CHAMP"), which clarified that a medical marijuana dispensary that also separately provided caregiving services substantially different from its cannabis business was able to deduct its ordinary business expenses related to the provision of caregiving services. This case has been part of the foundation for cannabis businesses having side businesses, such as paraphernalia and apparel sales, to allow them to deduct portions of rent and other expenses associated with that second line of business. The 2018 farm bill clarifies that parties in the industrial hemp industry are not subject to 280E, but the news has not been as good for other parts of the cannabis industry. Recently, in the case of Alterman v. Commissioner, the Tax Court held that the sale of hats, shirts and paraphernalia was not a separate trade or business primarily due to the lack of records kept for that portion of the business. In December 2018, another round of the dispute between Harborside Health Center and the IRS resulted in the Tax Court determining that the sale of clothing and paraphernalia, which amounted to 2 percent of Harborside's revenues was "neither economically separate nor substantially different" than Harborside's primary business of selling cannabis. Another important point from a recent case involving an Oregon taxpayer who failed to file both personal tax returns and business tax returns is that trafficking in a controlled substance is considered a negative factor in criminal sentencing guidelines. As such, failing to file taxes while engaging in the cannabis industry can result in stiffer criminal penalties. There is growing pressure from cannabis growers in parts of Oregon to legalize the interstate sale of medical and recreational use cannabis. However, even if legislation were to gain traction, substantial work would need to be done by legislators and regulators across the states where cannabis is legal in order to create uniform testing and labeling requirements. The easiest way to help to make this a reality will be to work through groups like the Uniform Law Commission to create model legislation, a process that will likely take years. 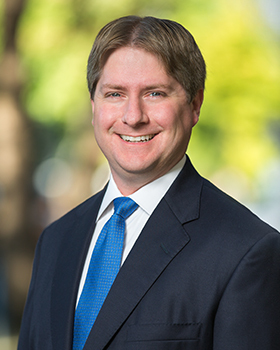 Victor Roehm III is a partner at Sussman Shank LLP. He focuses his practice on business and real estate transactional matters, including those related to the cannabis industry. Contact him at 503-227-1111 or vroehm@sussmanshank.com.